Kai-Cheng Dai describes himself as full of emotions, talkative and loving human interaction. He was born in Tianjin, China, and has been passionate about storytelling and the Chinese comedic form, Xiangsheng (crosstalk) since his childhood years there. After moving to Tokyo, he encountered the traditional Japanese art - Rakugo - which impacted on him deeply. 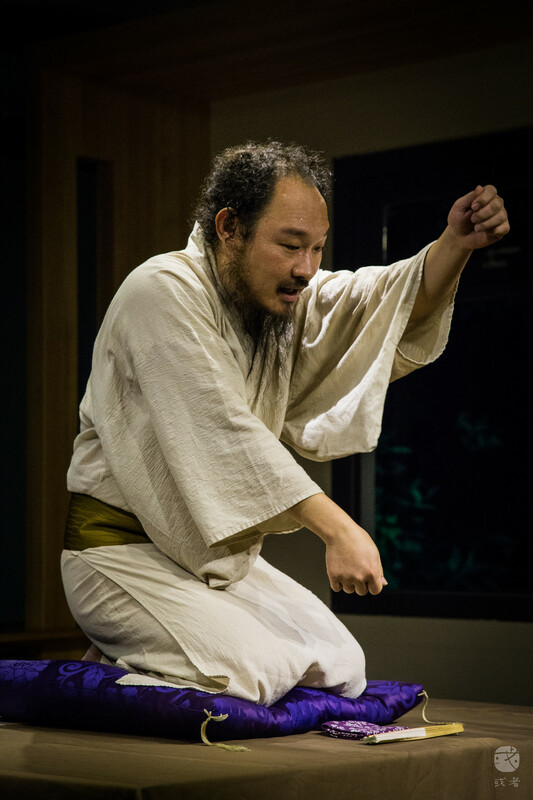 Rakugo is similar to the single person form of Xiangsheng from northern China, and is usually performed by one artist playing several roles with simple props to illustrate scenarios. In describing stories and characters, the teller aims to entertain the audience with feelings of delight, anger, sorrow, and happiness. In recent years, Dai often performs in small canteens, bistros, and small theatres, etc, adding words to people’s drinks, and taking them through distant and recent history. He is devoted to adding more colour to people’s daily lives in these small gatherings. He is currently focused on performance making, spatial design, translation and interpretation in Japanese, as well as cultural tour guiding. He tries to build passages through a wide range of cultural exchanges.